Scottsdale, AZ, March 13, 2019 --(PR.com)-- Easy Grammar Systems™, the company that inspires students to awaken the scholar within, is the winner of four Parent Teacher Choice™ Awards in June 2018. Their books, Easy Grammar®: Grade 1, Easy Grammar®: Grade 5, Daily GRAMS®: Grade 5, and Easy Grammar® Ultimate Series: Grade 9 were selected as gold medal winners in the best of children’s books. 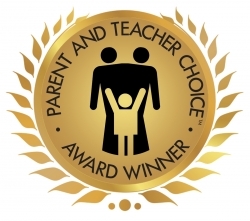 The Parent and Teacher Choice™ Awards from https://www.HowtoLearn.com are one of the most recognized international awards by both parents and teachers. Each year, the parent and teacher team judges the entries based on brain-based learning principles, creativity, innovation and fun to honor products of exceptional quality and outstanding performance at home and in the school environment. Author Dr. Wanda Phillips is recognized for her expertise in teaching grammar. Her award-winning Easy Grammar series (teaching texts for Grades 1-7), Daily GRAMS series, (review texts for Grades 3-7), and Easy Grammar Ultimate Series (teaching texts for Grades 8-12+) are thorough and promote mastery learning.